Sport has become big business, with hundreds of millions of fans across the globe tuning in to watch major events such as the football World Cup, the Olympics and the NFL Superbowl. With the global population and following of almost all sports growing, betting on the action appears to have increased exponentially in recent years. There has been a jump in the number of online bookmakers, while illegal betting continues to be a pertinent issue, especially in Asia. 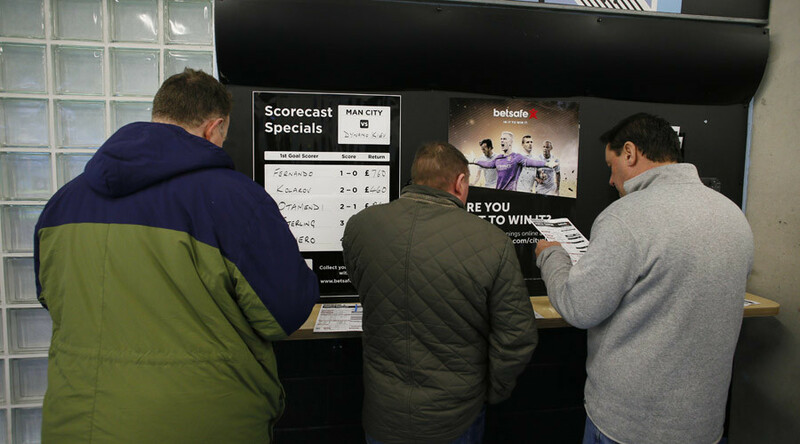 Recent research has shown that on average a staggering $1.13 billion is wagered on each English Premier League fixture. Multiply that by 10 games in each round and 38 rounds per season and it quickly becomes apparent just how widespread betting on sport has become. It is not hard to realize just why people gamble on sport, as betting companies are spending more to get their message across and attract people to bet with them. Seven of this year’s Premier League teams have betting companies as shirt sponsors while all of the 20 English top-tier clubs have an official gambling partner. For the fans it creates a dream-or-nightmare scenario, dependent on what you are betting on. Those that have wagered their hard-earned cash on Leicester City becoming English champions this season will be rubbing their hands with delight as only seven games remain this season. The Foxes were a far-fetched 5000-1 to win the Premier League before the campaign started, with a number of incredible stories in the media of fans set to make a small fortune. Some fans that backed Claudio Ranieri’s men to do the unthinkable have started to cash in their bets early. The latest reported instance tells of one Warwickshire man winning $101,000 from a $70 bet. The punter stood to collect $353,000 had he, and Leicester, held their nerve. It doesn’t always work out like that though, with a report last May that one optimistic Aston Villa fan lost all his life savings after backing his side to beat Arsenal in the FA Cup final. They lost 4-0. Others have taken to sports betting and made it a profession. One of the most high-profile is Dave Oancea, or Vegas Dave, who has seen his bank balance swell by betting on UFC over recent months. The American gambled $20,000 that rank outsider Holly Holm would upset Ronda Rousey late last year - which paid out $240,000 when it actually happened. Oancea won another $192,500 at the weekend, betting against Holm this time and putting $77,000 on Miesha Tate to win at UFC 196 - which she duly did. Finally, you have the super fans and family, with Rory McIlroy’s father cashing in big after a show of belief in his son’s abilities. Gerry McIlroy placed a $341 bet back in 2004 that his 15-year-old son would win the British Open within 10 years. The Northern Irishman bagged $171,000 when his boy claimed victory in 2014.